When you first start your boarding cattery business you will need to advertise. One of the avenues to use could be magazine advertising. There are many specialist cat magazines on the market and advertising in any one of them could prove worthwhile. Advertising can be an expensive business and only by trying various publications will you find out what works for your business and what has been money wasted. Having said that even if an advertisement only brings in one new client it will have been worthwhile. If that one new client is pleased with your services they will tell their friends and relatives about you. That in turn can lead to many more leads. So what you first thought of as a not very productive advertisement, could have far reaching benifits. Keeping track of what advertisements work is a difficult but worthwhile task. What Type Of Magazine Should You Advertise In? If you search on the internet you will find a whole range of cat magazines. Most of the magazines are sold all over the country, but if you can find any that deal specifically with your area so much the better. 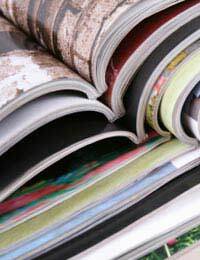 Many areas have free magazines that are put through the door of hundreds of homes in your area. These smaller free magazines will normally welcome an article about your cattery. You should talk to the editor and perhaps invite them to send somebody to look around your cattery. You may have to pay them to write an article advertising your business, or perhaps you could write the article, supply some photographs and get your article printed for free. If you also pay for a monthly advertisement this should help with your business promotion. The really glossy magazines that are only printed every other month will be expensive to advertise in but could be a worthwhile investment. If you speak to whoever handles the advertising you can probably negotiate a price. Many magazines struggle to get advertisers and will normally give discounts if you agree to advertise for several issues. You will be taking a chance on picking up any clients from any particular publication, but sometimes this is a good way of marketing your business. It is always a good idea to ask any new clients where they heard about your cattery. Make a note of their replies and over a period you can judge what advertisements are working and which will need to be dropped. If you have the time and the inclination you can approach the editor of any publication and ask if they would be interested in an article about your cattery. Most editors welcome something new for their pages. Do not expect or ask to be paid for this work. It could take some time and effort on your part, but any avenue that promotes your business must be followed. This is all part of marketing your business and making the best use of the power of good advertising.